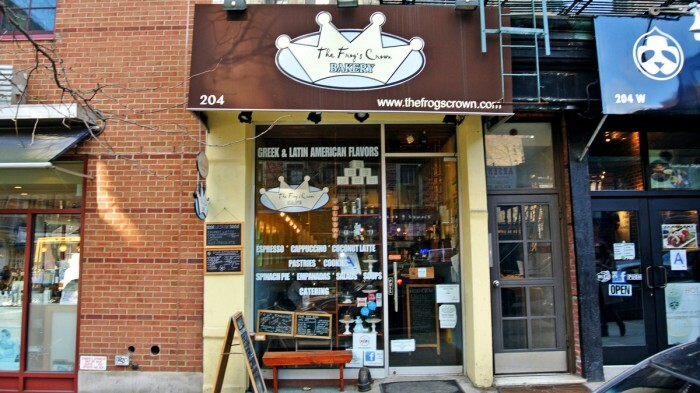 The other day I stumbled across a tiny shop called The Frog’s Crown Bakery tucked away on a minimally trafficked section of West SoHo. This little cafe serves bakery standards like coffee and sweet pastries, but I was actually drawn inside by the ethnic savory options I noticed advertised on their front window. It’s a really tiny shop with only enough seating for eight people, but there was still enough free space for me to dine in on my visit. The shop was covered with all sorts of fun whimsical princess and frog themed illustrations and decor. I bet an eight year old girl would have a field day in here. Since it was already two o’clock when I arrived, I needed to choose a lunch that would be tasty, satisfying, and not so heavy that it would ruin my upcoming early dinner. 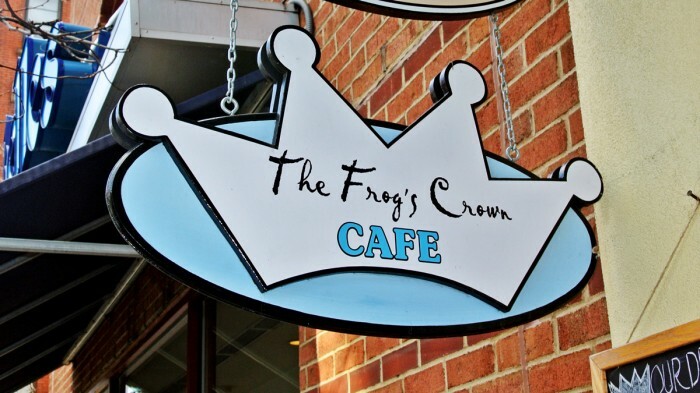 You wouldn’t know if you didn’t stop for a close look, but The Frog’s Crown Bakery specializes in savory Greek and Latin American handheld foods like spanakopita and empanadas, which sounded like they would fit the bill perfectly. I personally love Greek food and couldn’t resist the opportunity to try out the homemade Spanakopita I saw advertised around the shop along with a cup of Lentil Soup. I honestly didn’t expect much from the soup, but I’ve got to say I think it was one of the best lentil soups I’ve ever had. It was absolutely delicious, loaded with tons of bright, herbal flavors and great textures. There was a bit of broth, but not too much, which kept it from becoming too thin like other versions I’ve tried before. 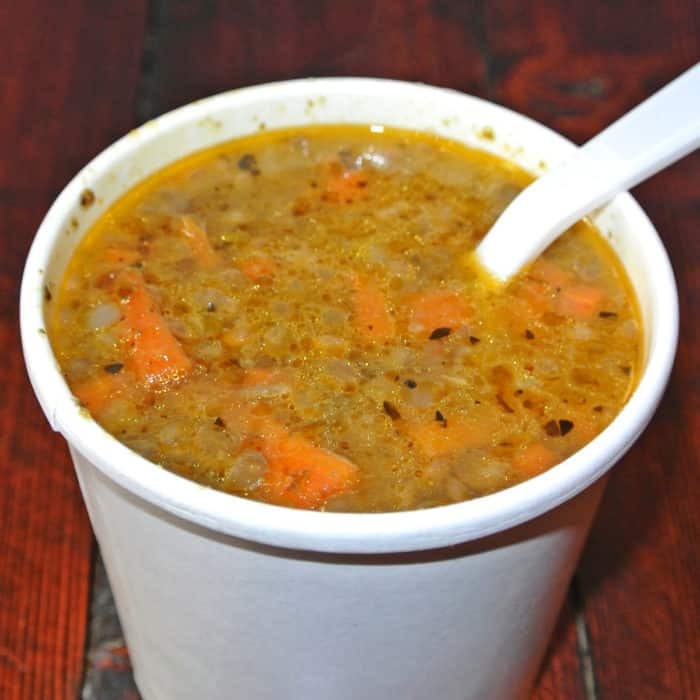 It also had a ton of thick, creamy, brown lentils sunk in which added a nice thick, heartiness to each spoonful. While I worked on my lentil soup, the cashier kindly heated up my square of spanakopita in a compact oven. I really do appreciate that they use an oven instead of a microwave to get their food up to temperature. Not only did this method warm up the whole pastry, but it also allowed the feta cheese inside to soften and melt while the flaky, layered phyllo dough exterior crisped up. 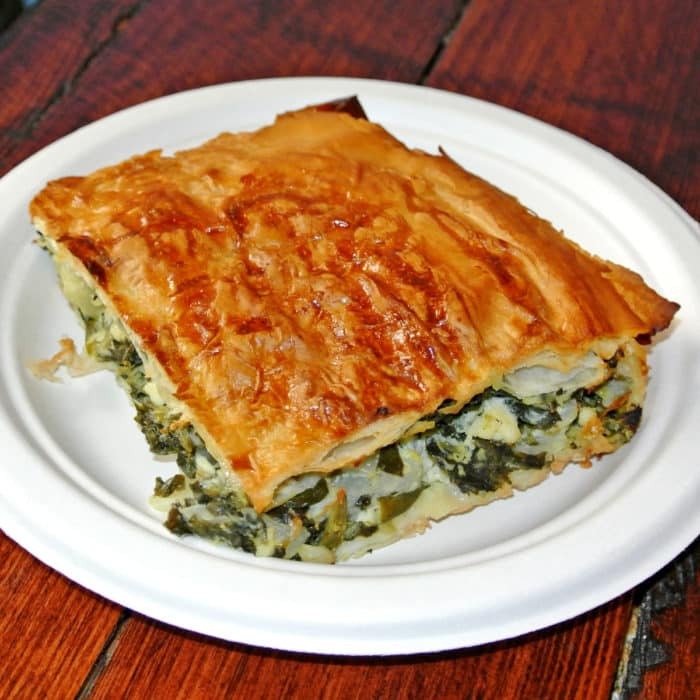 It was a really nice piece of spanakopita with all of the flavor and textural elements I look for and it successfully filled my salty, savory craving. 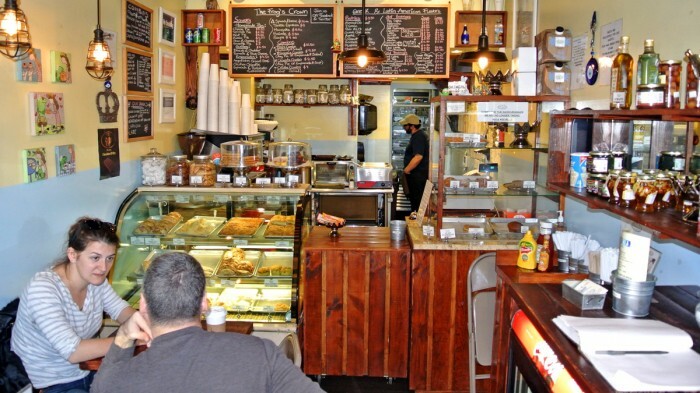 In conclusion, if you’re looking for something quick, light, and homemade in SoHo give The Frog’s Crown Bakery a shot. I loved their soup and spanakopita on this visit so I’ll be sure to try out their Latin options next time. Know any other cafes serving unexpected ethnic specialties? Let me know in the comments below.